We’d love your help. 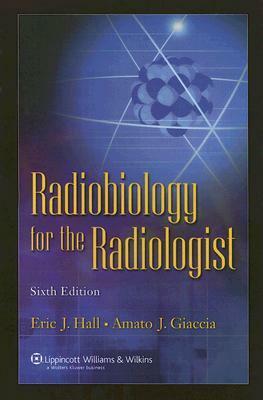 Let us know what’s wrong with this preview of Radiobiology for the Radiologist by Eric J. Hall. The updated Sixth Edition of this popular text will remain the first choice for those who need current, clinically relevant information on how radiation affects the human body. Written by practicing, active radiobiologists, the book brings together basic laboratory research and practical, clinical applications. The easy-to-read text and informative illustrations ensure com The updated Sixth Edition of this popular text will remain the first choice for those who need current, clinically relevant information on how radiation affects the human body. Written by practicing, active radiobiologists, the book brings together basic laboratory research and practical, clinical applications. The easy-to-read text and informative illustrations ensure comprehension, and summaries at the end of each chapter facilitate quick review. To ask other readers questions about Radiobiology for the Radiologist, please sign up. This book is great! It is really readable with hilarious graphics and grusome stories of radiation accident! Was my textbook for a Radiobiology class. The book is very useful and presented nicely.